The famous “Blind Swordsman’s Sword”. 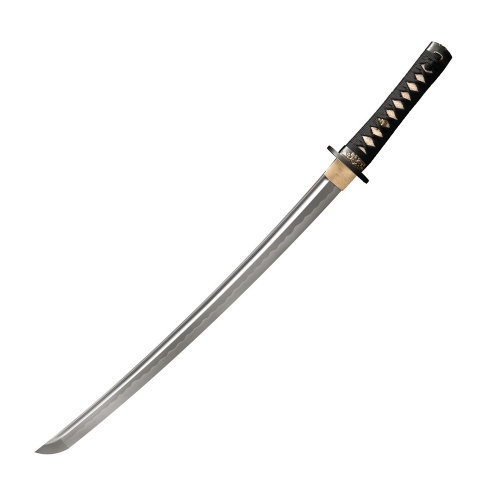 Unlike many cheap replicas, this version features a hand forged high carbon steel blade. Black lacquer finish scabbard. 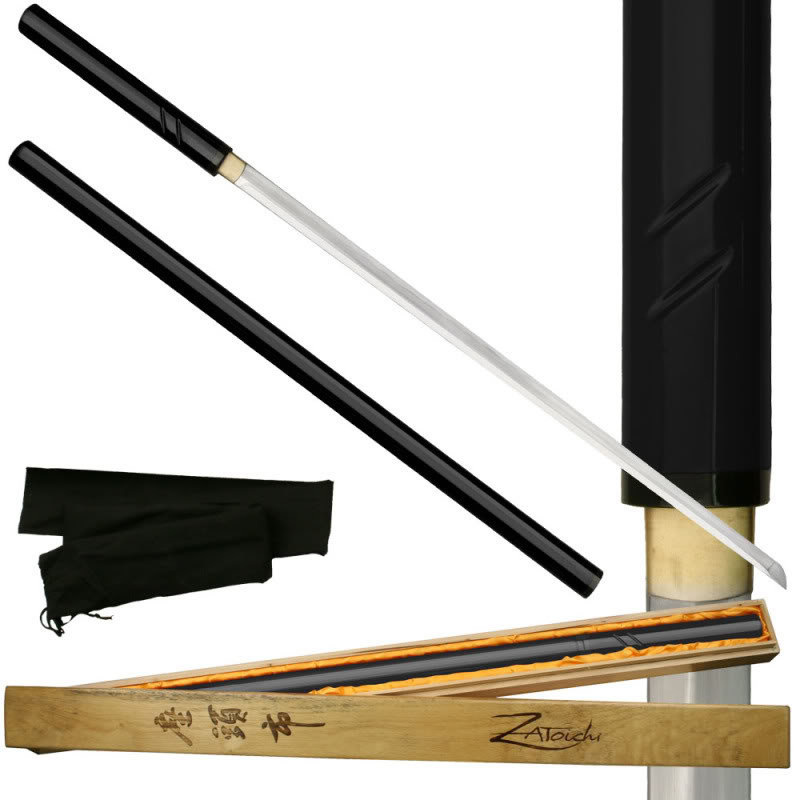 Measurements are 42″ overall, 29″ blade, and 10.5″ handle. Includes sword bag and wooden box.